Today with Altenew we are celebrate our unique community. Every day I meet fantastic and talented people, which inspires me so much. For today I prepared a card with my other favorite stamps from Altenew. 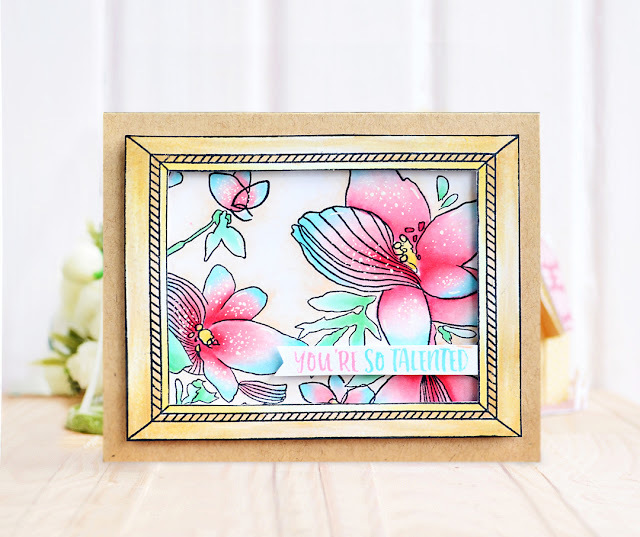 I colored with Copic markers beautiful flowers from Sketchy Floral Stamp Set, then I stamped and cuted out a biggest frame from the Framed Stamp stamp Set and added colorful sentiment from Crafty Friends Stamp set. I love those colors! good job! I need to put more on the inside of my cards. Thanks for the inspiration. Stunning card design and pretty colors!!!. A cardmaking friend inspired me to share my cards and from there on it became my passion!!! Oh wow the frame sets off the already beautiful stamp set. So pretty! Love the look you went with. 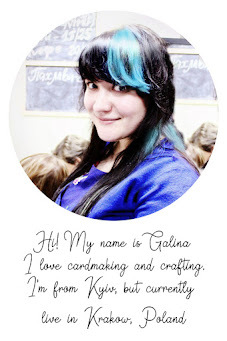 Galina-I still remember the day I started making cards too! I enjoy it so much because it brings people such much JOY to get a hand made card in the mail! Beautifully colored card! 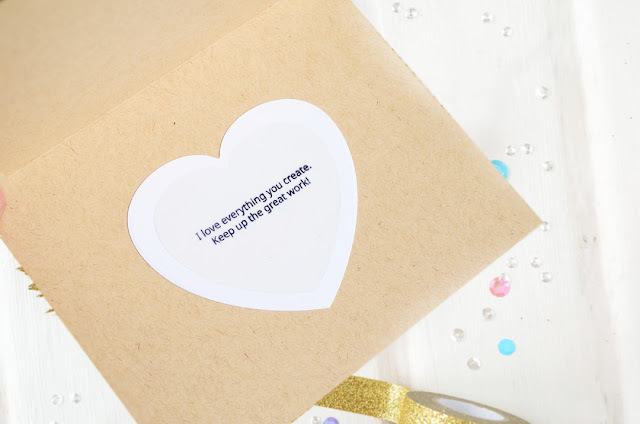 I've been making cards since 2006 and love finding friends on crafting blogs. Awesome fram around your work of art! Very pretty card. I really like that stamp set! So beautiful. My mom is the first person who inspired me. My family shares a love of all things crafty. Beautiful card. You all are inspiring. I can’t choose just one. Now I want to sit in my craft room all day and stamp. Love the blue edges on the blossoms - unexpected and beautiful. Love the colours you've used! So striking! Beautiful card,i loved the frame,flowers,sentiment everything..As i am new to card making i find inspiration from all the people that take time and explain how to do them..
Beautiful card, I love your color combination. I like how you framed the flowers, it really accentuates them. You picked great colors to make the flowers too. Thanks for sharing. Love the way you framed the flowers!! Beautiful card!! Love the frame set! And the person I get inspired by is my daughter, she is always happy and so sweet. Love your card! You do a wonderful job on your beautiful cards. Thanks for sharing! Beautiful color combo - lovely card. Sketchy Floral is a favorite! Beautiful card. Thank you for sharing your talent. ❤️❤️❤️❤️❤️❤️❤️ how you framed the gorgeous flowers! Absolutely divine! I can count on one hand my friends in real life and have three fingers left over! LOL I have many online friends though and love visiting with them! Like most Crafter’s they are kind, inspirational and supportive! My 5 year old granddaughter, Jenna, is my crafty partner and she is quite skilled for her age. TFS! beautiful, love how you framed the flowers. Lovely card. Nice touch with the frame as it highlights the flowers beautifully. Beautiful, beautiful work here... love everything! Beautiful, beautiful colors. Thanks for sharing. Beautiful card, colors are awesome. The person who inspires me the most is Jennifer McGuire, both because of her original card designs as her encouragements to others and all encompassing kindness. Love your card design, so beautifully colored. WOW Galina, this is pretty, you have brought these sketchy floral's to life! Beautiful coloring! I love the design of the card! My mom got me into making cards and find inspiration from her. Love your card. Just beautiful! Beautiful card, very whimsical! My inspiration comes from my family (we are a very crafty breed). It sounds cheesy, but they are my favorite people to create with. I can't pick one person as my main inspiration, there are just too many crafty cardmakers out there! Hmmm not sure if my post went through or not. Jennifer Mcguire really inspires me. Lovely card and the color combo is fabulous! Artists like yourself inspire me every day. Your cards are beautiful creations. I have so many that inspire me but thanks to the internet I would have to say Jennifer McGuire is my source of inspiration. However, she introduces me to so many other via her blog. 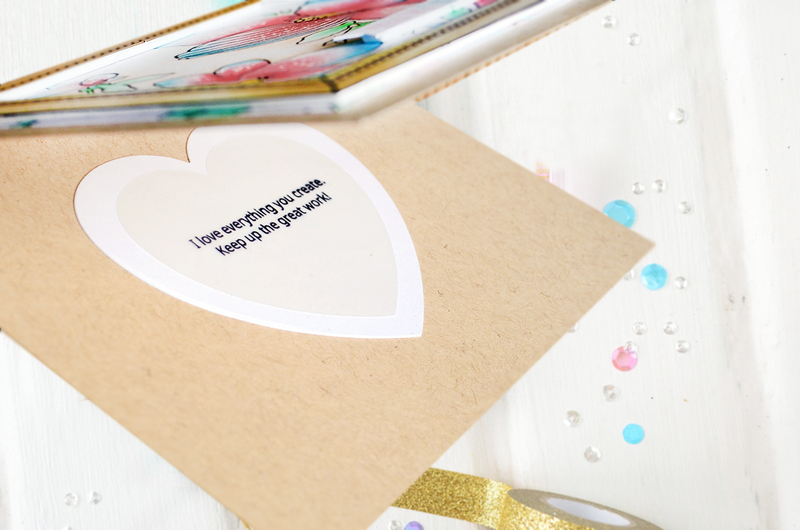 It’s difficult to list one when there are so many who inspire us to make cards everyday, but if I have pick one it’s going to be Jennifer McGuire! I learn so much from her tutorials everyday that I’ve been spending recklessly buying craft supplies! Your card is amazing! Love how you’ve made the inside of the card! Your card is absolutely beautiful and I love your coloring. Thank you for sharing and I hope you have a great week. You've used my favorite colors. Love the card! Jennifer McGuire is one of my biggest inspirations. I love the colors you used on your floral image. Thanks for sharing your creativity with the world. Beautiful card! Love the frame around everything! And YOU keep up the great work as well. Thank you for sharing. I love what you did with this stamp! Lovely colors and the frame is perfect. Love the color mix you chose on your card and the inside heart sentiment is a beautiful added touch. What a lovely card. I love how you framed it up with the Altenew frame stamp. Thank you for sharing. My mom inspires me so much. She's very creative and always comes up with incredible little projects, not all papercrafts, but always really beautiful. Love the soft colors and look. Those colors are so incredibly stunning! Your card is stunning! Love the frame around those gorgeously colored flowers. Perfection!! Beautiful card, I really like the frame outside the floral stamps. It certainly is a sharp image than the watercolor card I saw a few blogs back. It's so wonderful and amazing how one persin can add big change or encouragement when we least know it or expect it. Your card is just so lovely! The soft colors are wonderful and I love the added white accents. Just beautiful! Awesome card ! The colors are really fantastic. Very beautiful, love the colors you chose. I love the phrase "cuted out".. yes, you did! The whole card! Fun and cute! Love it! Very pretty, love your encouraging workds! My Mother. Growing up our house was always in the middle of some kind of craft project. We tried all kinds of things. I still love crafting to this day. Great card - the frame really ties it all together. Thanks for the opportunity to win such a wonderful prize too! That is such a hard question but I would have to say the Stampin Up demonstrator who first introduced me to stamping. LOVE the kiss of soft blue on several of the petals!! WIDA and CHUPA have inspired me most..sadly, they both have stopped blogging their card creations:( I MISS them so!! Beautiful card! Love that frame around the flowers. Have a great day. My dad inspired me to feed my creative side - that's when I fell in love with card making. I love this beautiful card and that frame (that set is on my wish list!). when I was around 21 and I just got into paper crafting from there. Lovely card! I'm inspired when I meet with my friends to craft and I'm, also, inspired by all the talented artists I see on the various blogs. 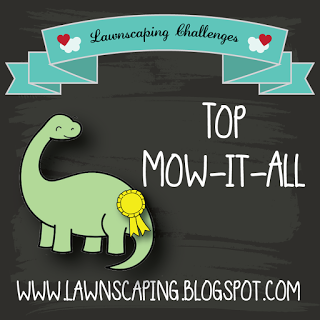 This is a fantastic blog hop for that reason alone! So pretty! Love the colors you chose and the frame really enhances it. My daughter-in-love inspires me. I have learned so much from her, and she has encouraged me in my "artistic" journey. She is a painter, and does beautiful birds in oil pastels and acrylics, but she has only nice things to say about my projects. Thank you so much. Very pretty. I like the framing and the heart inside. My grandmothers inspired me--they were both crafty. I love your card using that frame and your copic coloring is so pretty! Beautiful card - love the colors and the frame, which adds so much to the card - I never would have thought to do that. Thank you for sharing your talent and inspiration! Beautiful card, the colors are gorgeous! Lovely card! Love how you colored the flowers - very unique. The person who inspires me most is my mother. Wonderful how you have framed your beautifully coloured flowers. Awesome! Thanks for sharing your inspiration with us! Jennifer McGuire Ink is the stamper who inspired me and taught me how to spread the joy and cheer around to those we love! The colors absolutely pop and glow off the page!!! Beautiful work! Galina,I remember the first time I made a card, it was like a light turned on that had been waiting for so many years. The first person that really inspired me was Debbie Olson. Now there are so many, it would be tough to list them all! Your card today is stunning and I'm really inspired by the color combination you used. pretty card! When I first worked at a stamp store I have to say it was a stamp company owner and DT that inspired me to teach classes and I couldn't stop! I just love the use of the frame on this card. It is gorgeous. My mom and her work ethic inspires me the most. My sister started me on cardmaking. We have spent many wonderful hours crafting together. Beautiful flowers!! I'm probably most inspired by my Mum - when we were kids she always kept us entertained with crafty hobbies! Very pretty card! The frame is gorgeous. Beautiful card, I love the Sketchy Floral set and how you framed it and the sentiment is perfect! I am inspired by my crafty friend Beth who has always been supportive and encouraging and so helpful! Your card is so beautiful at first I thought it was a framed picture. Wonderful job. I love th details on the inside of the card. My dear dear friend Stephanie got me hooked on paper crafts. Sharon Clark says Very lovely card.Great job with the colours. Love the soft colors, beautiful art. such a lovely card - wonderful coloring! Pink and blue together is delightful. Beautiful card. Great card for any crafter! Love it! Wonderful card! The colors are so pretty and I love the frame. This is stunning!! The colors are amazing!! I love the design!! So gorgeous!! I love the colors you chose for this card! Thanks for sharing. Such a very pretty card. Thank you for this beautiful blog hop. I thought about this carefully, and I'd have to say my mother was my biggest inspiration. She was my first example of craftiness. She enjoyed sewing, crocheting, cooking, letter writing, and much more. Everything had her unique style and creativity. I'm sure I got my love for creating from her. Nice to think of that again. The images on your card are beautiful, and they are set off wonderfully with the frame - so real looking! Beautiful card!! I love the frame stamp around your card. The person who inspires me most is my friend Michelle. She fights through the hard stuff of life in a courageous way. I would have to say when I first started card making I watched all of Jennifer Mcguire's videos and learned so much from her, not only techniques but about products. Thank you Jennifer! So very pretty! My mom inspires me! When I first started following card blogs, I was inspired by Debbie Olsen. Your card is lovely!! I've been most influenced and inspired by my mother. Even though I'm the one who introduced her to stamping, she demonstrated creativity to me throughout my life, whether she was sewing, quilting, remodeling, cooking...she was always using her hands and her mind to make something. Your design is fabulous!love the frame, this is a wonderful piece of art! I believe you and how fortunate are we that Sveta and Altenew put you into card making! 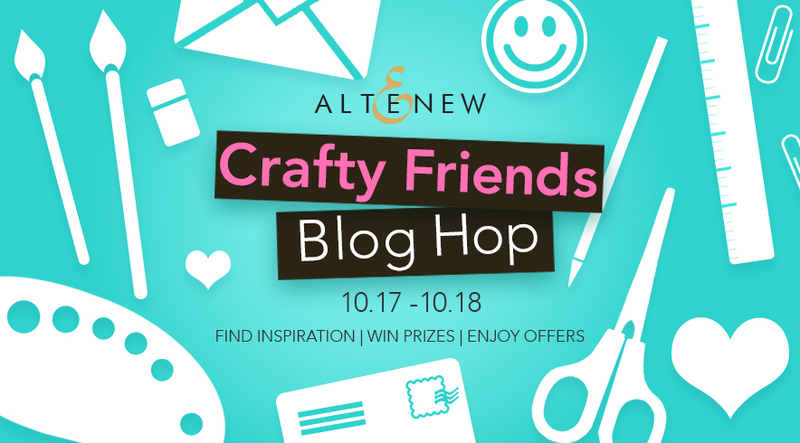 I started out as a scrapbooker and have gone back and forth with it, lately life has become hectic and had slowed my crafting a lot, but I enjoy my craft escapades from time to time and I truly enjoy hops like this were so many talented crafters come together! Thanks for all you share! I love the frame around the front image and the heart in the interior. It's a lovely design! I had never heard of stamping and cardmaking until my daughter-in-law showed me a Stampin Up catalog, and I was hooked! I so appreciate seeing all the talent from bloggers; it's very inspiring. Your card is so lovely! Your coloring is beautiful and I love your frame! I love your card. Such a pretty colour combination. Oh my gosh - how beautiful is your card. Love your colour choices. The colors are so soft and delicate and I love the hidden heart! I really like how your beautiful card look! Your card is beautiful! I am inspired most by my friend, Andrea. I taught her about paper crafting and she taught me about jewelry making. Now she makes incredible journals and mixed media paintings. She moved away about 5 years ago, but we still call each other and bounce ideas off each other and send pictures back and forth for ideas. I would have to say Jennifer McGuire is my favorite, but I follow so many blogs. Thanks to the internet these talented individuals can share their work. Fabulous card. Really like the colors you used! because she is always giving of herself. I really love your card and the sentiment in the heart on the inside is perfect. The coloring is stunning. Thank you for sharing your crafty friends journey. Love the light ethereal look of your card. Lovely. How fun -- I really like the framed area of your card. It's really a great card. Fantastic color combination! And the inside is just perfect. I've been and continue to be inspired by many, many people. But my first inspiration was my Mom. She can't create anymore due to macular degeneration. But she continues to inspire me every single day. I love the beautiful colors of this card! The frame is a perfect touch. The colors on your card are really beautiful! I love that stamp! Your card is AMAZING! It look like a real picture frame. Beautiful! My friend Jan inspires me. Despite several challenges, she still finds time to be creative. WOW! When I first saw your card creation I thought it was in a real photo frame! Very Creative, Artistic, Colorful Work of Art! Well Done! Love the White Dot accent. Sweet! Cute cute cute! Love it! Thank you for sharing your story and for the inspiration. I am so inspired by my crafty friend, Erin, from Erin's Owl nest! I love her creativity and coloring! Lovely card, and the heart with the stamped sentiment inside is a nice extra surprise. I thought it was a 3D project at first glance. Wonderful project. Beautiful card! The frame is just perfect! Gorgeous framed card. I love the sketchy floral stamp! Love how you've coloured the flowers. Love your color choice! Beautiful! Love your card...the colors are so soft but eye catching. 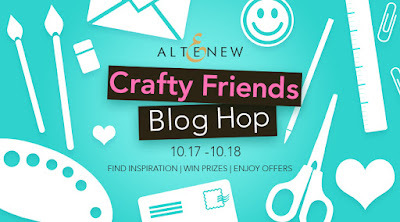 What a fabulous theme for a blog hop and I agree: crafty friends are the best! Meeting several in person has been one of my highlights of card-making! My #1 inspirations are my niece and nephew; creating cards/projects for them lets the 'inner child' in me come out! Your card is gorgeous! Thank you for being part of this heart-warming celebration! Just like the sentiment says you are talented. Love the colors used and the heart on the inside. Lovely card, color choice is very pretty. Thanks! This a lovely card. I really like your choice of colors. My grandmother is the one who inspired me as a child with her love of crafting, from crocheting to creating things from everyday items. Beautiful card. My inspiration is Julie Ebersole and Jennifer McGuire. They are fabulous cardmakers. Beautiful card! Thank you so much for sharing it! My daughter, who is a graphic designer and who has worked for many well known scrapbooking company's is my inspiration! I have a craft room filled with her beautiful papers and products that she has designed! Beautiful card; I like the stamp set that you used. What a sweet card! I would love to receive one like it. :-) I love the frame feature. This is such a beautiful card! I love how you framed the image with the new frame stamps. It makes the artwork look more finished. I've been making cards for 15+ years now. I get a lot of inspiration from the bloggers online and the beautiful cards they make! The person who inspired me the most in cardmaking was a lady named Karen who was a teacher at my local stamp store. I was just starting out in this craft and I took some of her classes and was hooked. She was a watercolour artist and the way she was able to bring the images to life was fascinating! Today I follow many artists online including Altenew's family of creators. Love your beautiful, elegant cards. You card is lovely. The frame is a cute addition. Thanks for sharing. Lovely card! Altenew is so inspiring as well as Jennifer McGuire. TFS! Jennifer McQuire is my favorite inspirer. She is one of the first card makers I followed many years ago(I think it was before Collin was born). She is such a great and talented artist and she has such a sweet giving personality. When I first started the person who inspired me the most was Gina K.
Company is ...drumroll please...Altenew (the big A) I love, love, love their flowers, sentiments halftone everything. You guys rock. Love the colours on your card! I've been inspired by so many crafty people since I started scrapbooking and card making many, many years ago! And every time I follow one of these hops, I am inspired by someone new! To be honest, you're one of the person who inspires me the most , with Svitlana from Craft Walks, Jennifer McGuire, Sandy Allnock and Yana Smakula..... Oh my ! There too many !!! lol !